Hi there! We’re back in Mumbai, back to our home sweet home…and back to a regular diet with little space for junk! After over filling ourselves with the yummy n not so healthy Delhi food….thought it was a good idea to make something light for my kids to eat. Guess what came to my mind first………. A sandwich!!! And kids promptly said “NO”. 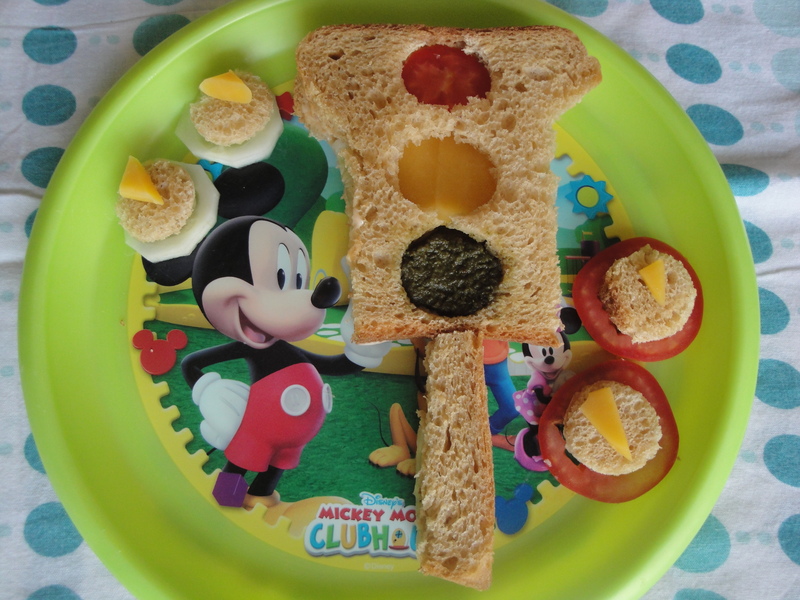 Then got them into a bit of storytelling on traffic rules….got them involved in making the sandwich…..and then…..what do I get to hear….. An excited YES for the traffic light sandwich!!! Yummm! Is what they said after polishing it all off!!! Take a slice of brown bread and cut out three small circles vertically. On the second slice, apply the sandwich spread evenly and place the cucumber slices. Sprinkle some salt and pepper. Now Place a slice of tomato (for the red light), below this, place half of the cheddar cheese (for yellow light) and below the cheese, place some mint chutney (for green light). 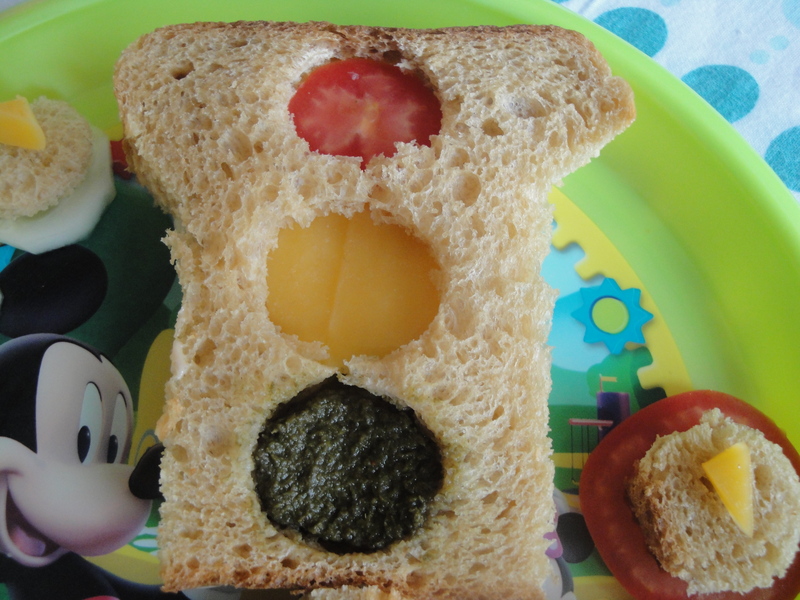 Now place the first slice of brown bread on the prepared second slice such that the traffic light appears. Cut out the sides and place them to complete the traffic light signal, as shown in the picture. Place the sandwich on a serving plate and garnish. 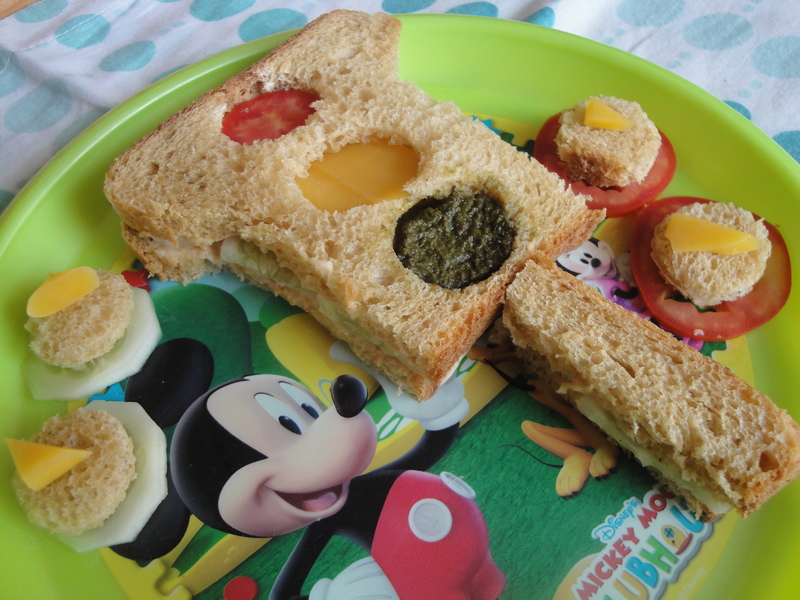 Place the bread circles along with tomato slices and cheddar cheese as shown in the picture. 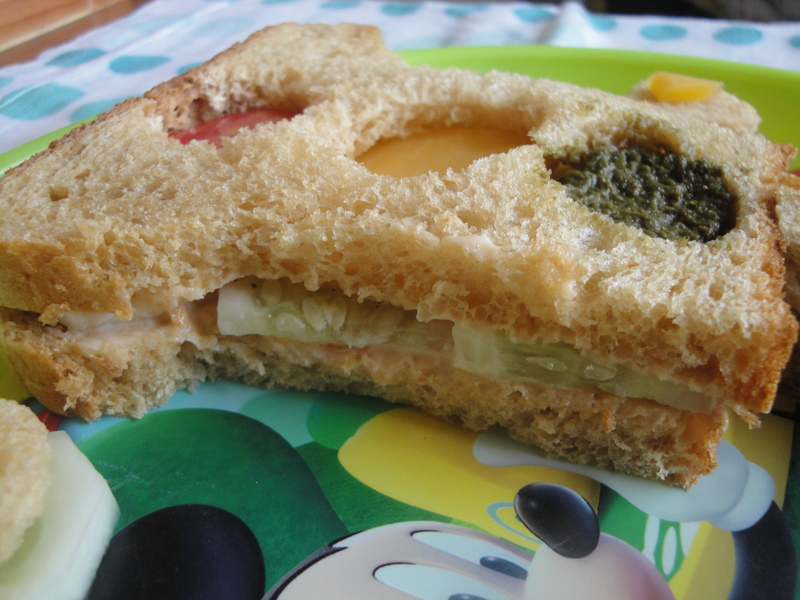 The traffic light sandwich is ready to serve to your little ones. Kiddie Tip: you may also use peanut butter instead of sandwich spread for a nutty flavour.